This trailing petunia abounds with blossoms of blue shading to blush lavender blue; a fantastic mini-flowered petunia from seed. 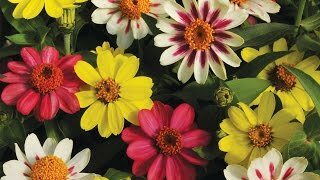 Your basket or border will quickly overflow with high-impact 1 1/2" mini-blooms. Petunia, Spreading, Shock Wave™ Denim is rated 2.9 out of 5 by 14. Rated 1 out of 5 by dinsdale5 from Was disappointed I was very disappointed by the low germination rate of the seeds. Only 2 of them sprouted and the plants did not do well after being hardened off and transplanted into my flower bed. One died quickly and the other just didn't perform as well as advertised. It does have lovely blooms and color, but its performance just wasn't as described. Rated 1 out of 5 by mahrudhomey from germination very low bought multiple of these and germination was so low I ended up with 2 plants. won't buy this one again. Rated 5 out of 5 by Horselady from Lovely Plant I ordered this as a plant and mixed it with scaevola. The colors complement each other beautifully. I have not had to deadhead or trim it. While my other petunias have run out by mid-August, this one is going strong and looking very nice. I will be ordering it again. While the flowers are smaller, the color is lovely and the performance has been great. Oh, and it has stood up to pelting and persistent rain quite well, too. Rated 1 out of 5 by Amy F from Nothing Germinated I bought 2 packets of seeds and not a single one germinated. I was hoping of growing my own petunias instead of buying them at a greenhouse, but that was a waste of money and time. I should've listened to the other poor reviews on these seeds. Rated 1 out of 5 by Meefi from Disappointed Bought a packet and started from seed towards the end of February. Out of 10 seeds only 3 sprouted, and they died after the first true leaves formed. 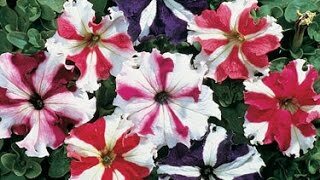 I also bought another variety of petunia that sprouted better but I’ll wait to write a review until it will bloom. Rated 1 out of 5 by MrsH3 from Nothing! I ordered these seeds in the early spring. I first tried starting them indoors, I had maybe a few sprouts but everything died off. I tried to direct sow into my hanging baskets, but again, NOTHING. Not one plant, not one bloom. I have grow these from other company seeds before, so I know I followed the planting guide. Waste of money. Rated 2 out of 5 by NycPlanter from 3 packsof 6 actually grew Hello, from childhood I remember ordering seeds and plants. I studied Horticulture in college and became a Landscape Designer. Been a while since I ordered seeds from Burpee, so I was excited to try something simple. I was surprised that less than half produced seedlings. Doubt I'll order again.